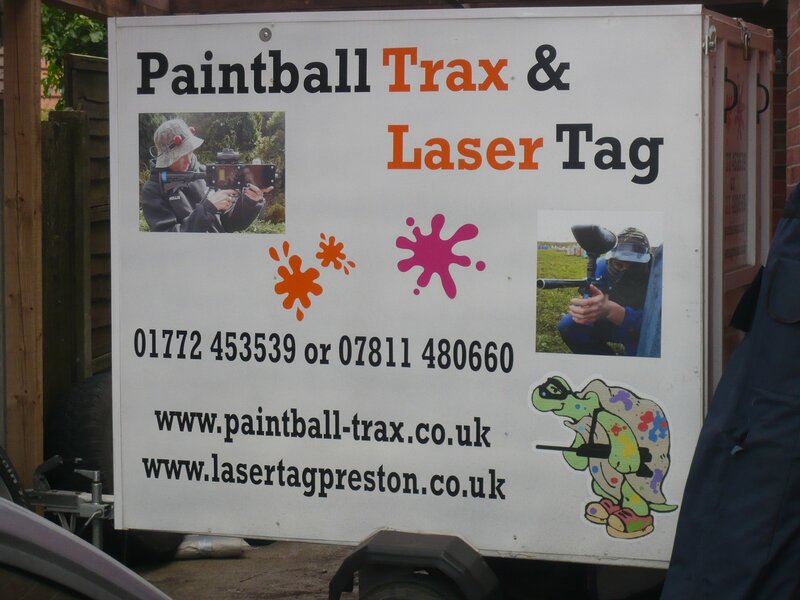 Paintball Trax is a family owned business which has been running since 2000, based at Midge Hall, Leyland. Being a family owned business the atmosphere is a friendly, helpful one, where there is always someone to help you out and answer any questions you may have. Paintball Trax offers the best mixture of adrenalin rush and fun across a site of 6 game zones with 2 woodland fields, along with an enclosed Safe Area to allow for rests in between games. Paintball Trax offers a mixture of activities to suit the family. Paintball – Age starts at year 7 of high school. We use the best site markers available, both the Belsales Inferno and the Diablo Morpheus. Both of these markers are semi-automatic and capable of shooting 7-8 paintballs per second. and a battle pack to carry extra paintballs. All you have to do is turn up and enjoy. We use the latest Laser technology. No clumpy, heavy vests to wear, just 4 sensors. TIP 1: wear sturdy, comfortable footwear which you don’t mind getting muddy (not your best trainers). TIP 2: bring gloves and a hat to add protection to hands and head. TIP 3: bring a change of clothes if it looks like a wet day. Are you the next Robin Hood ? No apples on your head just release those arrows and let’s see who is the next Olympian. We don’t do courses but if you feel you have the ability, we will put you in touch with the right centre to take it further. Challenge your friends to a shooting competition. Various targets to choose from giving great variation and difficulty. Age from 10 years but could vary dependant on size. Think you have a good eye? Let’s see how good you are on our Range.